The headlines alone tell the story. 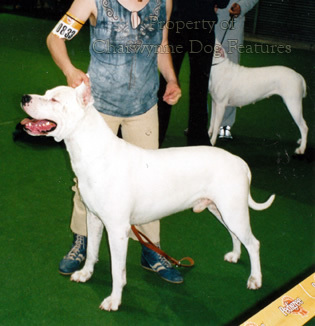 The coverage of the Dangerous Dogs Act over the last two decades summarises the controversy, the outrage, the injustice: "'Dangerous Dogs' laws attacked"; "BVA joins the fight against Danger Act"; "KC should fight the Danger Act"; "Trying to defend the indefensible"; "Kennel costs soar as the pit bull law turns nasty"; "'Ozzie' free at last after court battle"; "Stafford seized as pit bull"; "'Joker' free after legal nightmare"; "Dangerous dogs law to cost £10m in court battles"; "Rethink by RSPCA man saves dog"; "Stafford put down"; "Dogs are still in danger"; "A protest that must still be registered", "Pet dog kills child", "Dog-walker killed by loose dog" and "Man bites wrong dog". The latter is an apt headline; the breeds named in the Act were 'identified' as dangerous in 1990 by the Kennel Club, an organisation that has absolutely no knowledge of them. In the first four years of the Act alone, it cost the Metropolitan Police £3,097,200 just to provide kenneling and veterinary treatment for dogs detained under the Act. In the first five years of the Act, Home Office Destruction Orders totalled over 900. All these dogs, incidentally, were taken from ordinary working-class people, not all of whom are always best able to speak up for themselves or are conversant with legal procedures. This alone casts a shadow over police attitudes and behaviour. In one case, a man called the Met's dog-handlers asking for advice on training the American Bulldog he had purchased, a very responsible act. The response? A police constable called on him, drank tea whilst discussing the dog, then seized the dog on the way out, under the DDA. What crime had the dog committed? The Met's so-called expert witnesses claim that they can identify 'pit bull type' by assessing the dog's physical points, or anatomical features. 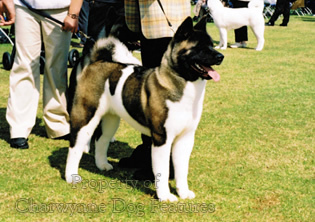 But there are scores of breeds that display such points. And where is the evidence that a dog's physique can affect its temperament? Magistrates are ignoring evidence from distinguished animal behaviourists like Dr Roger Mugford and highly experienced Bull Terrier judges who examine hundreds, perhaps thousands of dogs per year. Who is likely to give the public greater value as witnesses? The Dangerous Dogs Act of 1991 is not protecting the public but punishing dogs not because of any offence they have committed but because of their physical appearance. Would we tolerate that in humans? Dogs are being prosecuted because of their breed; a human being could shout 'racial discrimination' in those circumstances! The Act makes basic assumptions which are not supported by any research, i.e. that dogs 'bred for fighting', or look like one, are a menace to humans. Where is the evidence? 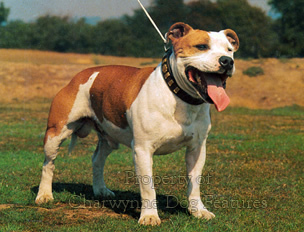 The Staffordshire Bull Terrier was originally bred for fighting, as was the Bull Terrier. 10,000 Staffords and 2,500 Bull Terriers are newly registered with the Kennel Club each year and are kept, without incident, as family pets. 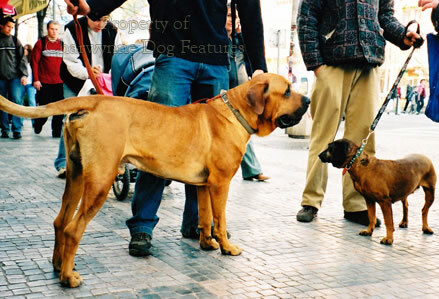 If say a Bullmastiff is badly treated by its owner, (one went into 'rescue' a few years ago covered in cigarette burns), gets loose and bites the first human being it meets, does this mean that the other 10,000 Bullmastiffs in the land are suddenly dangerous? In recent years, reacting to appalling incidents in which an 86 year-old lady was killed by a Rottweiler and a six year boy was killed by two Bull Terriers, crowds in Germany poured petrol over a harmless Bull Terrier and burned it to death. Other Bull Terrier owners were attacked with baseball bats; a Parson Russell Terrier was kicked to death in a separate incident. In the Hamburg area all Bull Terriers were effectively outlawed. The owner of the dogs (not English Bull Terriers) which killed the boy was a gangster, convicted 17 times for robbery, grievous bodily harm and dog-fighting. What will the German authorities do when such a person misuses every breed over 30lbs weight in turn, to the danger of the public? If skinheads or other social misfits misuse dogs once associated with dog-fighting then they are guilty of crimes ahead of anything their wretched dogs may be forced to do. But at present it is the dogs which lose their lives and their owners a few marks, dollars or pounds. Past incidents like those in Wales, France and Germany involving attacks on elderly citizens and children in a school playground allegedly by 'bullterriers' will never be reduced if the breed of Bull Terrier is then targeted. The depraved individuals favouring fierce-looking dogs will turn to other breeds. 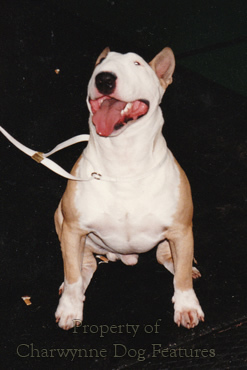 In Holland, when Pit Bull Terriers were banned in 1997, registrations of similar breeds rose ten fold. Chasing a problem never solves it. 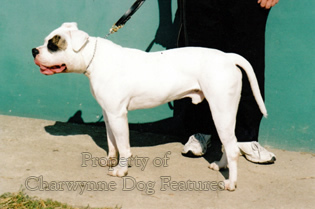 Two South American breeds, the Dogo Argentino and the Fila Brasileiro were named as being dangerous by our Kennel Club, despite being the national breeds of their native countries, never having been 'bred for fighting' and despite the fact that the Fila is the breed of dog most thoroughly tested for temperament in the world. The Act also bans the breed of Japanese Tosa from Britain, a breed bred for 'fighting' (more like muzzle-wrestling) in Japan. There is no evidence on record to indicate that this breed can be dangerous to humans. The Tosa is kept by families all over Europe and North America without incident. 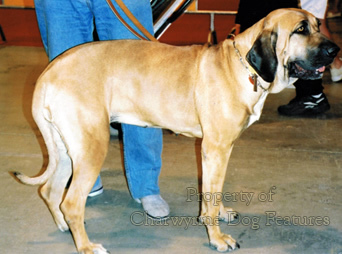 Tosas can be assertive with other dogs but this can be 'trained out', as with any dog of any breed. The DDA was not however designed to protect other dogs but to protect human beings from attacks by dogs. Any dog which attacks a person is a candidate for destruction, but surely only because of deed not breed. The three breeds identified by our Kennel Club as 'dangerous' are exhibited at foreign dog shows where KC-judges from here officiate! Two particular veterinary surgeons have in the past been allowed to give evidence by magistrates as expert witnesses of 'pit bull type'. But the Royal College of Veterinary Surgeons has stated that a vet's training does NOT qualify a vet for breed identification. A local authority so-called 'Animal Welfare Worker' in south-east England specialises in DDA seizures, without any professional knowledge or experience of powerful but placid dogs. This 'welfare officer' advises worried owners of seized dogs to sign a "disclaimer" to avoid prosecution but allow destruction. In June 2000 a case in Thames Valley police area collapsed, despite this 'welfare officer's' efforts, on lack of credible evidence alone. One particular police officer in the Met has been allowed to give expert evidence in court because he has examined a lot of dogs. But a Kennel Club-approved Staffordshire Bull Terrier judge, John Branch, who has examined more dogs than this police officer ever could, was over-ruled in a breed decision in court. This police officer was once able to bring cases against dog owners in his own right and has carved out a career niche for himself in this way. This police officer, a constable, claimed to have studied 'pit bulls' in the United States but the real experts there have never heard of him. This constable might well have been pursuing a personal advancement agenda to the detriment of the poor old dog? What is especially regrettable is that, despite Home Office guidelines to the contrary, the police are prosecuting dogs under the DDA, rather than a more appropriate Act (e.g. the 1871 Dogs Act), so that the defendant cannot claim legal aid. This is a disgraceful tactic not compatible with the pursuit of justice in a fair society. One case has already been thrown out because of this "abuse of process". In this case, there was no proof of a 'bite' at all, but the lady owner of the accused dog would have had a criminal record if the police case had succeeded. 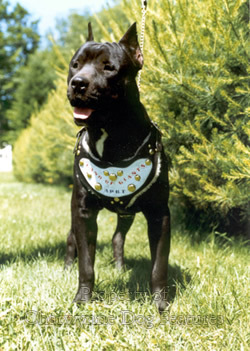 The whole purpose of the Act was to provide protection against bites inflicted by dogs deemed to be dangerous, specifically by Pit Bull Terriers. In fact, as a recent survey revealed (i.e. 'Injury; International Journal of the Care of the Injured'), the number of bites inflicted by Pit Bull Terriers since the introduction of the Act has remained constant and still in the minority; the Act is clearly misdirected as well as having no effect. Criminals who use powerful protection dogs have moved on to other breeds to avoid police attention. 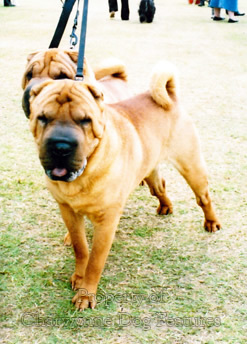 Breeds like the Chinese Shar Pei and the Japanese Akita, perhaps attracting attention because both were said to have been used for dog- fighting in their native countries, have become more numerous; registrations of both trebling since the DDA came into force. This recent survey established however that on a biting basis, Borzois were seven times more dangerous than Rottweilers! This shameful Act, has led to harmless family pets being seized, solely because of their appearance, and kept (sometimes over 50 at a time) in kennels for years (one dog 'Tulip' being incarcerated for 12 years, before she died, still in gaol. This pogrom has already cost the taxpayer well over £M50 - with the bites inflicted by dogs remaining the same. The Act is ineffective as well as being grossly unfair. In the year to January 2014, 6,740 people went to hospital following bites by dogs. Merseyside was the worst place for dog attacks, with 23.6 admissions to hospital per 100,000 people; this compares badly with say Kent and Medway, with 5.3 admissions per 100,000. Social irresponsibility regarding dog-ownership is not being remedied, certainly not by the provisions of the DDA. Other countries, out of misguided respect for British law-making, copied this legislation which has widened the latent injustice being imposed. The Dutch and the French have introduced laws to prohibit the ownership and freedom of movement of several breeds. The Germans have enacted new state laws to ban some Bull Terrier breeds and to force owners of blameless mastiff-breed dogs and Rhodesian Ridgeback dogs to 'prove' their dogs are not savage; four British breeds are affected, not one German breed, despite the high incidence of Rottweilers and German Shepherd Dogs in biting cases. This is knee-jerk legislation by dishonest politicians not justified carefully-conceived law-making. In some places in North America even Pugs, Golden Retrievers and Labradors are banned. Such hysteria can only undermine respect for the law. Secondly no-one with a record of criminal violence should be allowed to own a dog weighing more than 30lbs. (One local authority in the USA bans every citizen from owning any dog with short hair, a muscular build and weighing from 20 to 125lbs; such a wide ranging ban is doomed). Thirdly if there are doubts about any dog's behaviour then it should be temperament-tested by suitably qualified professionals and then destroyed if it cannot be retrained. A war against specific breeds is badly directed and protects no-one. No one wants to see the public unprotected; savage dogs should be destroyed but only from their deeds not their breeds. Anyone involved in dog-fighting should be automatically imprisoned when found guilty. Any new Act too must surely be a response to evidence as opposed to ambitious politicians pandering to needless hysteria. This Act undermines British justice and our global reputation for fair play. This Act is 'area-bombing' not 'precision-bombing'; it is misdirected; it is based on unproven assumptions; 'evidence' is accepted in court which would not withstand scrutiny in other cases; it is cruel and unjust. It urgently needs repealing.